All headlines are clickbait. Controversy is good for clicks. You are being baited constantly. By definition, you don’t want to be baited. Effective headlines are provocative. Similarly, by definition, you don’t want to be provoked. To be fair, bait and provocation aren’t necessarily bad. You can be baited or provoked to do something pleasurable or to feel a positive emotion, but these are predominantly negative terms and that’s important to remember as you navigate the Web. Specifically, humans have an odd habit of engaging with what enrages us, turning comment sections into shameful displays of pettiness and anger. This is painfully visible on platforms such as Medium where healthy debate is encouraged but the execution is often poor. Excluding sociopaths, I think we’d all like a friendlier Internet and a friendlier world, but that doesn’t prevent us from forfeiting tact and perpetuating the problem with our own nasty comments, written in emotionally charged moments when our anger feels perfectly justifiable. If you’re above this, I applaud you, but I think many of you can relate. You’re not abnormal. As a sentient being, you are hypersensitive to threats. When a headline poses a question or a claim that irks you, your natural threat detection instinct takes over. You’re compelled to investigate further, to assess the seriousness of the threat. What if the author behind this headline knows something you don’t? What if they are spreading harmful misinformation? What if countless others are influenced by the misinformation, creating a sociocultural ripple effect which threatens your very existence? With stakes like these, you’d be reckless not to leave a response on that article you disagree with. Addressing ignorance is the noble thing to do. Except, why are you so angry, and what makes you certain you’re in the right? You’re triggered and, again — by definition — that’s not a good thing. You’re primed for the kill, hands trembling with rage, with a severe risk of missing the target and demolishing your credibility instead. My good friend and hero, Tom Murphy, had an incredible generosity of spirit… Forty years ago, Tom gave me one of the best pieces of advice I’ve ever received. He said, “Warren, you can always tell someone to go to hell tomorrow.” It’s such an easy way of putting it. You haven’t missed the opportunity. Just forget about it for a day. If you feel the same way tomorrow, tell them then — but don’t spout off in a moment of anger. It’s the same logic we use to make tough decisions, sleep on it. You’re always smarter tomorrow. Decisions sometimes require an immediate response. Online comments do not. Unfortunately, when we’re angry the words come easy. Don’t let them flow.Don’t start drafting your response in case you decide to leave one. Don’t. Write. Anything. threaten your identity or beliefs? spread what you believe to be misinformation? If #1, what is the identity/belief, and how did you come to it? Was it by your free will? Consider criticism only for what you do and never for what you are. For example, the misconduct of men is a defining topic of 2018 and the conversations within this topic vary from shallow to nuanced, depending on the author. Blanket criticisms of all men aren’t worth my time. I didn’t choose to be a man and I certainly won’t apologize for it. Criticisms of bad men, using thorough evidence, are worth my time. I choose to be a good man and guidance is necessary. If #2, why do you think you have the correct information? Be honest, how much time have you spent learning about this topic? 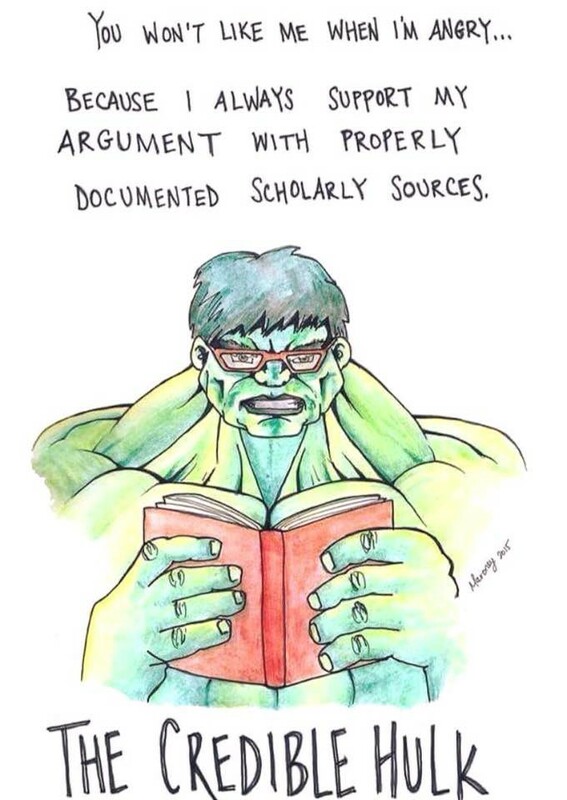 Can you cite any sources offhand? Are you willing to take at least a few hours gathering and scrutinizing your evidence (or assumptions), trying hypothetically to prove yourself wrong and the author right? Would you like them to see you like this, fuming over their words? Have they earned your reaction? Once you’ve considered why you’re affected by an author’s words, you can decide if you should be affected. How much power you choose to give them via your reaction should depend on how powerful their argument is. If the author’s argument is shallow and unsubstantiated, they don’t deserve your reaction. Get over it and move on. If their argument is critical and substantial, that’s a powerful argument and they’ve earned your reaction. If you choose to respond and you put as much thought into your argument as they put into theirs, a good conversation may emerge. In the last paragraph you might have thought, “If the author’s argument is shallow and unsubstantiated, shouldn’t I point this out?” In theory, yes, but that author and those who agree with them have proven they don’t want to play fair. Your response won’t enlighten them. It will only start a fight. Fights don’t help anybody. Even if the author has provided a good argument from which a conversation is possible, your participation might still be unnecessary. Browse other responses to see if what you’ve written has already been said by somebody else in similar words. If an argument is worth making, there’s always a chance it’s already been made, depending on your timeliness. The Golden Rule, treat others as you’d wish to be treated. You have to give the author a chance to receive your response without emotional interference. It’s rare that we can change a person’s mind but we can give them the opportunity to think about what we’ve written without putting them in a defensive state. Don’t name call, don’t criticize, don’t condescend. Be relentlessly kind and fair, and follow Paul Graham’s classic advice on How to Disagree. People are smarter and nicer than we often think. Worthwhile conversations aren’t easy. It’s okay to argue. Our task is choosing when and how to do so. I’ve written these steps as a thought sequence to talk yourself off the ledge before leaping into a flame war. They aren’t perfect and neither am I — I’ve been a jerk online plenty of times — but I’m trying to be less of a jerk and I think many of you are too. Thank you for reading. Love and kind wishes to you all.